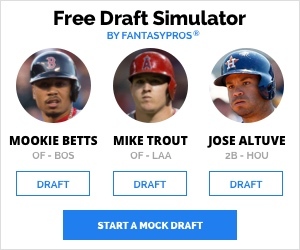 Many of you have already had your draft. If that is the case this is still an important topic to pay attention to, Depending on the makeup of your league and the categories you have to fill, setup men and middle relievers could be an untapped resource. The idea of sabermetrics and fantasy baseball don’t necessarily mix as well as many of us would like, but data does have an impact on the strategy teams use to win games. Most bullpens now run eight men deep and teams are much more willing to go with dominant relievers earlier in games. The upshot is that the multi-inning relief performance is coming back in vogue. Teams are now finding guys that might fail as starters, but can last one time through the batting order with a lively fastball or dominating secondary offering. Those two and three inning outings can add up. If they are dominant outings then those relievers can be as valuable or more valuable than even an above average starting pitcher. The list here is certainly not exhaustive and new pitchers are coming forward every day. Fantasy players have streamed starters in the past. They may try the same with middle relievers. Relief pitching is a volatile market. PECOTA is projecting a huge step backwards for Swarzak based on batted ball data and other similar considerations. We leave him here not necessarily because he will be worth it, but there will be guys like him that suddenly step up this year. Draft day is very important, but the player to takes best advantage of the waiver wire is usually the guy who wins. Jones has been really good in the past, but was banged up in 2017. That makes him a forgotten man and virtually undrafted in every league. He’s a guy to keep an eye on for the waiver wire. If he returns to his pre-2017 form then he could be a very valuavle reliever. He could offer some utility in holds leagues, but even in standard 5×5 formats he could offer quality innings in concert with another similar reliever. The key here is volume. The Mariners look to lean heavily on Nicasio for key innings late in the competitive games. That is great for holds leagues, but even in standard 5×5 leagues it will give you a ton of zeroes and even the occasional win. A secondary consideration for setup men and middle relievers are whether they are in line to become the closer if something goes wrong. I don’t like to play this game, but one of our own (Chris Gerosi) keeps up with that in his closer’s chart. Mark Melancon was shaky last season, so Strickland might have a chance where the previous three guys really don’t. If Strickland is good he should be drafted on his own merits. One of the wild cards in the relief game comes when a former closer becomes a setup man. David Robertson (featured later) is a perfect example. He was a mediocre closer in Chicago, but became dominant in the setup role last season in New York. Could the same happen with Ramos? I suppose anything is possible. He is first in line to close games in New York if something happens to Jeurys Familia. Wilson is a former closer in a bullpen with a former setup guy as closer. That same logic with Ramos applies to Wilson. Of course, the reverse logic also works with Brandon Morrow. Dominant setup guys often become solid closers, but that is not always the case. Wilson has practical closing experience, so he could be a backup plan for the Cubs. This could just as easily be Brandon Kintzler, but PECOTA expects more out of Madson than Kintzler. Sean Doolittle is acting as the closer for now, but there is very little that separates these three pitchers in reality. This is a great situation to monitor during the season on the waiver wire. Chances are that at least one will be avaiable after your draft is complete. Thad Levine is employing one of the tried and true methods of building a bullpen. Instead of throwing all your eggs in one basket you can employ several solid to good relievers and hope one of them sticks as a usable closer. Whether Fernando Rodney lasts the whole season as the closer is open to conjecture. Reed has done it before and could do it again. Chances are good that both of them will get opportunities this season. All good projection systems have a time lag factor. When PECOTA performed their projections on Bedrosian, Blake Parker was penciled in as the Angels closer. Apparently, they have flip flopped roles. So, he likely was picked in your draft. Mike Scioscia is probably not a heavy drinker or smoker, but a lesser man likely would become one with the bullpen the Angels have put together. 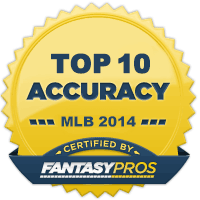 You will notice that if you look at the Closer rankings, Brad Brach’s name didn’t make the cut. He likely would figure prominently on this list if Zach Britton had not blown out his knee in the offseason. Both O’Day and Mychal Givens (featured later) will likely have opportunities to close this season. O’Day is not overpowering, but keeps the ball in play and doesn’t walk many guys. That makes him a little more prone to batted ball luck. The Cardinals were obstinate this winter. They refused to put big money down on a closer. In a sense that is admirable, but their plan of going with Luke Gregerson is already in peril. He will start the season on the DL. That means Lyons and others will have opportunities to seize the position. Investing in any one of them individually is like riding a penny stock. Any one individually is likely a fool’s errand, but someone in the group has to close games. If you invest in multiples then it could be a sound investment. Jeff Bannister is not a likeable guy in my part of the world, but he should be a sympathetic figure. Outside of Cole Hamels, I’m not sure of any single pitcher on that pitching staff. Mike Minor and Tim Lincecum could be good relief pitchers, but they aren’t being employed there yet. Alex Claudio is penciled in as the closer, but we haven’t seen a closer pitch like him since Doug Jones. Kela has a power arm and could eventually be the guy, but he will have to prove it after a lost 2017. Edwards represents the new wave of relief pitching in baseball. He couldn’t make it as a starter and he likely will never be a closer, but he could be very valuable as a multi-inning reliever. You get a guy that strikes out three guys in two scoreless innings and you have yourself a pretty valuable fantasy commodity. If he does that two or three times a week and you have one good fantasy start a week. Devenski is one of the pioneers of this new strategy and he fit the profile perfectly. He was a decent starter, but became much more valuable as a dominant reliever. He also represents the downside as well. Towards the end of 2017, he began to peter out. That could be fatigue. That could be overexposure. It could also be that the league figures everyone out eventually. PECOTA projects success, but they also project far less usage this time around. Everyone will focus on Aaron Judge and Giancarlo Stanton. That makes perfect sense. However, look no further then here when you look at why the Yankees suddenly became great again. You could creditably argue that Green is the Yankees fifth best reliever. PECOTA thinks he is better than Tommy Kahnle, but based on past results that is arguable. Green does not fit the closer/could be closer model of acquiring relievers. He just puts up really good numbers in a middle relief role. The Brewers hope Hader develops into the second coming of Andrew Miller. If he does then they will be advancing to the playoffs this season. As a former starter, he has secondary offerings that help him last more than an inning in relief. He likely will never get a chance to close out games this season, but value can come in the volume of dominating performance. Givens fits the old model of drafting setup men much more closely. You identify a dominant setup man on a team with a shaky closer. That makes a lot of sense, but Givens could struggle in the closer’s role himself. Unfortunately, the Orioles are a team with a group of good setup men and no closers. Is Robertson actually a better pitcher now that he is no longer a closer? I suppose there could be an argument for that, but it is also likely an issue of perception. These numbers would look shaky for a closer, but for a middle reliever they are downright good. Robertson could save games, but he is valuable no matter the role. Like Devenski, the workload caught up with Miller last season and he spent time on the DL. So, it is likely that he will be just as dominant as he always has been, but in fewer innings this time around. Everyone keeps waiting for him to be named the closer. I suppose anything is possible, but the Indians have realized that having a second closer that can come in during pressure situations prior to the 9th is more valuble. The Yankees have an embarassment of riches in the bullpen. In some ways it runs against each of the relievers individually, because there are too many for any of them to be employed as a multiple inning reliever. 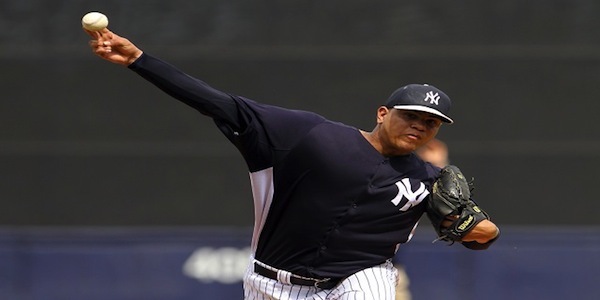 Betances likely would be a closer for half of the teams in baseball at least. So, pay attention to the new bash brothers, but it is the bullpen that will lead the Yankees to the promise land.